Hello! Melissa here. I wanted to let you know that there’s a new Blog Friends page on The Giveaway Roundup. 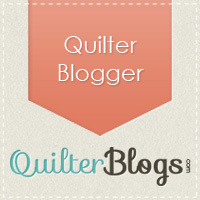 Featured on that page are blogs that are displaying one of these two super cute buttons on the home page of their blog. If you have a blog and want to add a button, head on over to the Buttons page and grab one. There are different sizes you can choose from to fit your blog. The hardest decision is going to be which one of these two to pick. I’m rather partial to the cowgirl. After you add the button, shoot me a message. I’ll add your blog to my Blog Friends page to let everybody know you’re sharing the giveaway goodness. As I always say, it’s good karma to share! Don’t forget to check out the link up. New giveaways are being added daily. Fun! This is a great idea! Thanks for adding me.